FREE evening for couples to better their marriage and better their life. Does marriage seem impossible? Ever wonder what really makes or breaks a marriage? 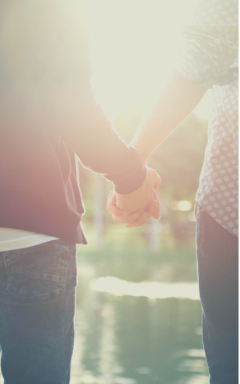 Aaron Potratz and Sara Graves from Life Discovery Counseling Services have helped many couples find answers to those questions and find a practical way to a better marriage and better life. Please join us on Saturday, May 25th at 5 to 8 pm. Marriage Night is completely free and includes dinner, dessert and childcare. Registration is required by May 22nd. Aaron Potratz - Aaron owns two counseling practices as a licensed professional counselor and is a clinical supervisor to other counselors. He is passionate about relationships and believes healthy marriages and families are the bedrock of a healthy community. Sara Graves - Sara has been providing therapy in a private and community health setting for over 3 years. She has trained in both the Gottman Method (a couples therapy) and Dialectical Behavioral Therapy with a focus on helping both couples and individuals who struggle with their negative emotional cycles.